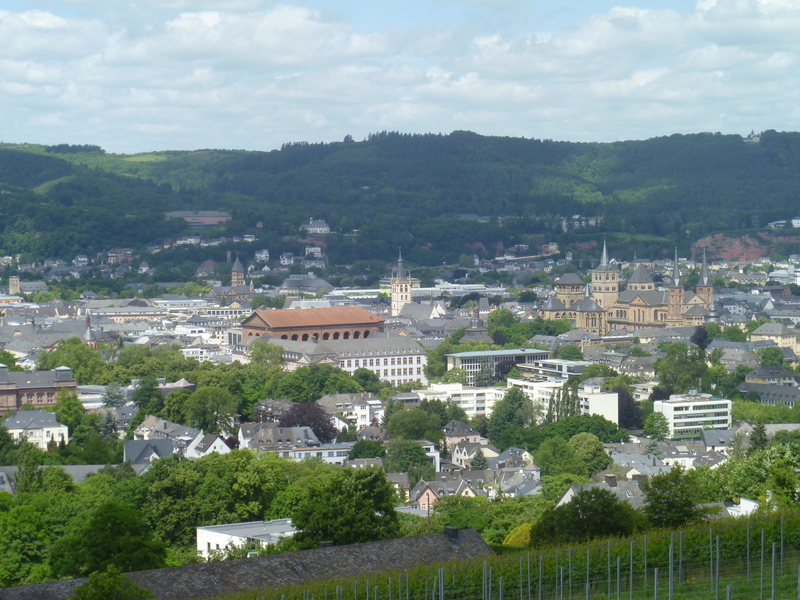 The centre of Trier with vineyards in front. We spent last weekend in Trier and along the Mosel. We had an amazing time, and tried a lot of outstanding wines. My tastebuds are still buzzing and my tasting sheets are full of thoughts and memories that I will jot down in the next couple of weeks. 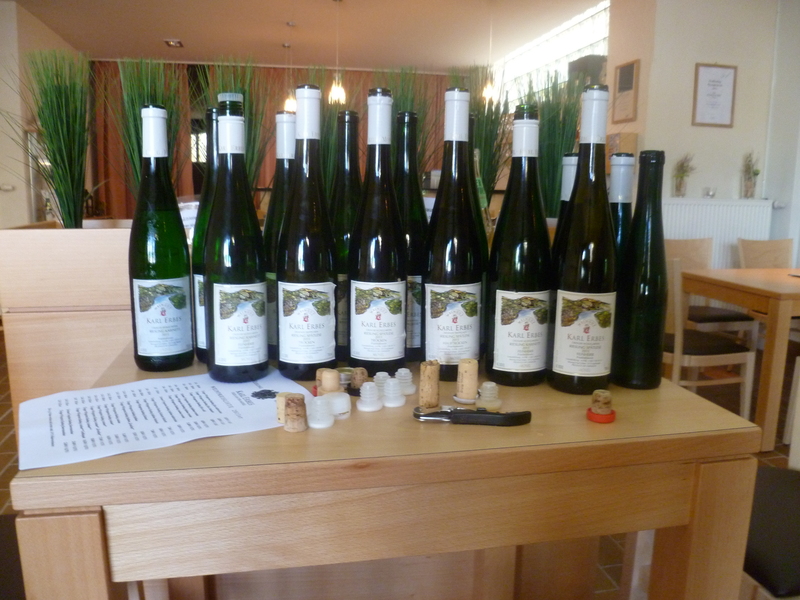 This is just some first ideas on the 2011 Mosel wines. 2010 was a crazy vintage along the Mosel with very low yields, but unheard of levels of sugar and acidity at the same time. This is highly unusual because often sugar is a sign of ripe and overripe grapes with less acidity. The 2010s we tried around the same time last year were incredibly racy and vibrant and colorful. 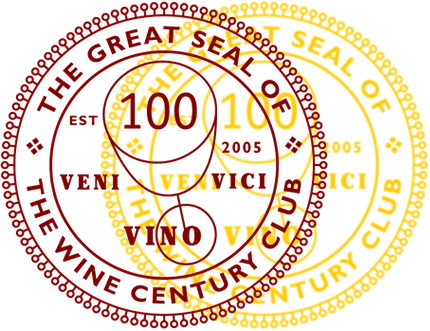 Many wine journalists wrote these wines off because they believed they were too unbalanced and not well suited for ageing. The 2010s we were able to try now showed a really nice development. They were very drinkable and to me seemed well suited for ageing. 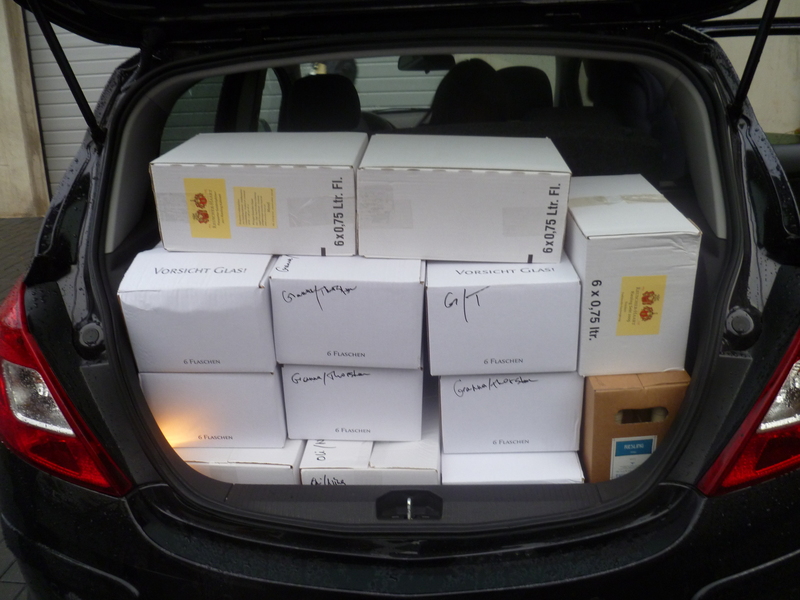 Given that it is Nina’s and my wedding year, we decided to stock up on some auslese and spätlese to store for the future. The 2011 wines we tried at Karl Erbes winery: from Kabinett to Ice Wine. 2011 in contrast, was a year with high yields and very, very healthy grapes. These wines are picture-perfect Mosel rieslings. There is not as much going on in our glasses and mouths right now, but they are just beautiful and very promising. Nina called them subtle, I would add sophistication. They also showed great mellowness. Think of 2010 as a crazy, modern art painting and of 2011 as a well composed and pleasing piece of art. The biggest surprise for me were the dry rieslings. German wine drinkers tend to go for dry whites, so winemakers usually make a number of them, too. I am not a big fan, because when I try these I often find myself thinking: “And now some more sugar and the fruit would come out more beautifully.” They always seem to leave something to be desired to me. The 2011 dries instead were mostly quite mild and pleasant. Without the rough acidity edges that they can carry in other years and very notably did in 2010. I was quite impressed. 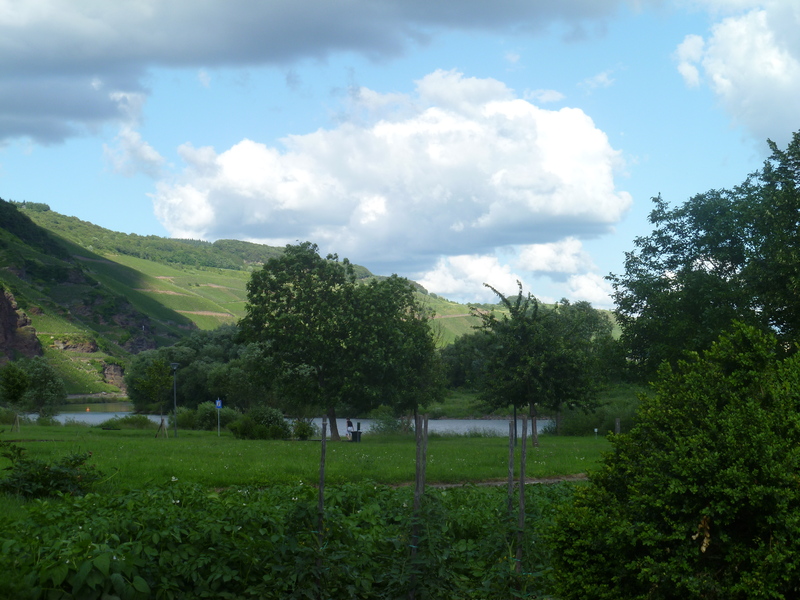 Mosel Valley at Ürzig, Erdener Treppchen on the left. Wow. I see you are all packed with good bottles! Great picture of the full boot. So jealous my mouth is watering. I wish I were there with you. Will visit Trier next week but will not have time for wine tasting. Too bad…also because we could have had a chance to meet. Have a great time!